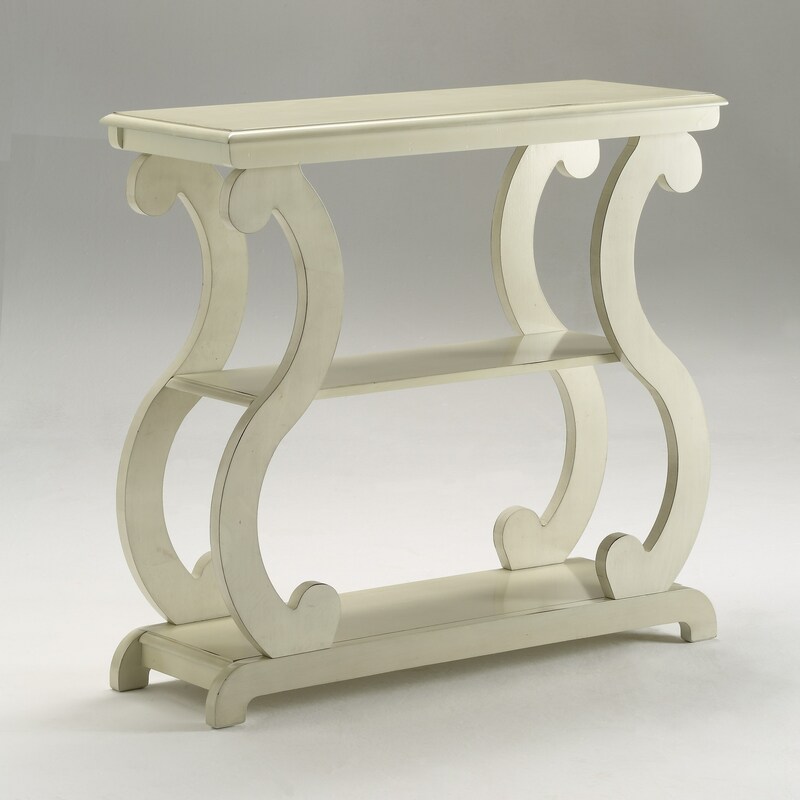 This stylish console table has graceful S-shaped legs supporting the table top. Perfect for a front entryway or behind the sofa, the table has two shelves for storing smaller items or for displaying art. The Console Tables Console Table with S-Shaped Legs by Crown Mark at Miskelly Furniture in the Jackson, Pearl, Madison, Ridgeland, Flowood Mississippi area. Product availability may vary. Contact us for the most current availability on this product. The Console Tables collection is a great option if you are looking for Transitional furniture in the Jackson, Pearl, Madison, Ridgeland, Flowood Mississippi area.